What do you guys think of this outfit? I love that top, its gorgeous, great print and colour! i like the bag so much!! at least it looks handy!! Love your top, it's gorgeous! I love your outfit,the rucksack is so cute,and I love your colourful top,gorgeous colours.Im totally with you,theres nothing worse than being uncomfortable in this heat.Your outift looks chic and pratical for this gorgeous weather. Lovely floral top. I like it so much. You are looking beautiful. 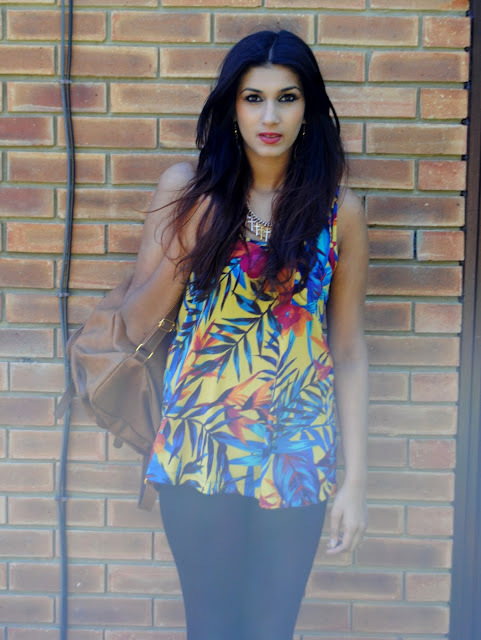 Floral women tops become popular in summer.